Creative Scene Inc. is an arts & crafts mobile event company currently operating in New York and the Tri-State Area. “We Bring the Creative Scene to You!” We come to your home, business or venue. Set up the art party, do the show and break down. It’s very reasonably priced and cheaper then going to a restaurant for a paint and sip for you and a couple of friends. We have low minimums. Founded by a female professional designer, the mission is to empower people with their right side of the brain and spread the joy of art to the masses. We do private parties, workshops, fundraisers and social art events. The arts events are held in your home, restaurants, bars, churches, schools and community centers. In two hours, our Artistic Entertainers guide people as they make paintings and craft projects. 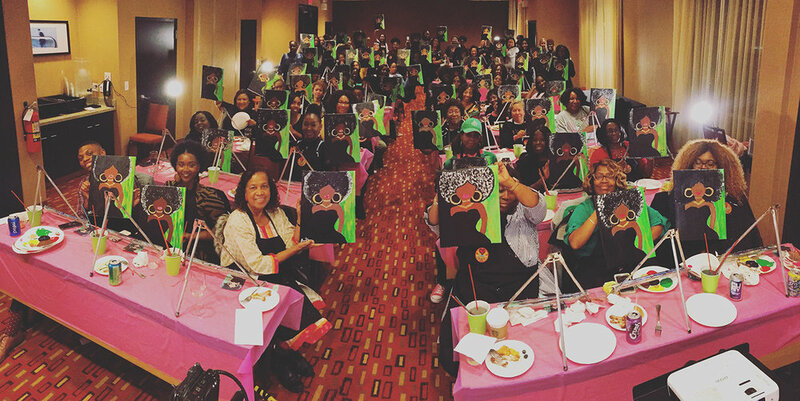 Our events are perfect for birthdays, family gatherings, PTA workshops, and fundraising. No artistic talent is required; the projects are geared toward non-artist. We provide all the supplies and clean up the mess. Studies have shown the therapeutic benefits of doing creative projects. Our business model is a win-win for all involved. Attendees add two hours of creative time to their day and leave with their creations. Artistic Entertainers and Assistants earn money and can promote their artwork and network. The local economy and culture benefits. We customize every event for your needs. We take you step by step along your creative journey. We host children from 6 years old and up. Great idea for holiday family gatherings. Creative Scene helps organizations raise funds in two hours with one of our programs. 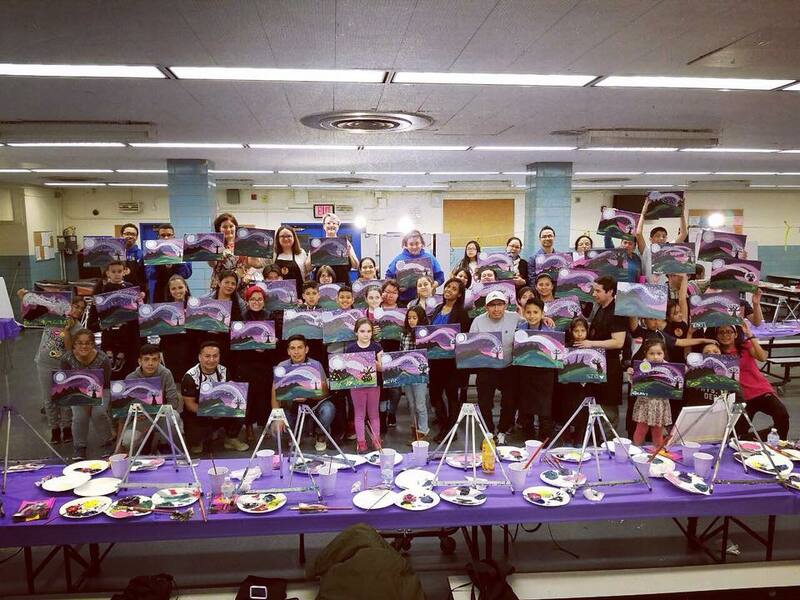 Nothing brings a community together like one of our Art Workshops!!! These are great ideas for Title 1’s, Team Builders and used as Art Therapy Techniques. We paint wine glasses and ice cream soda mugs. We craft holiday ornaments and mason jars too! If you are interested in hosting your own event please email us or call 347.944.3767.